Looking back, 2013 was a big year for Microsoft, with multiple new products – improved Surface tablets, Windows 8.1 and the launch of the Xbox One, to name but a few. Not to mention the $7.2 billion (£4.6 billion) acquisition of Nokia's mobile phone unit. On top of that, Steve Ballmer, long-time CEO of Microsoft, announced his retirement in August and will be stepping down within the next 10 months. But that's all in the past. Microsoft is focusing firmly on the future, aiming to bring new and innovative products to market and continuing its core 'devices and services' focus. Here's a taste of what 2014 holds for Microsoft. Microsoft has moved to an annual product update cycle with Windows, similar to the one Apple has for OSX and iOS. This means that new versions of the OS will be pushed out every year, similar to Windows 8.1, and the good news is that these updates are likely to be free. This means that OS uptake will be quicker, as users don't have to pay hundreds of dollars upfront to get their hands on the new software. We could see Windows 8.2 in 2014, while Microsoft concentrates on Windows 9 in the background. Feature-wise, not very much is known about Windows 9. Microsoft is working hard to refine the desktop experience while attempting to bring new and exciting features to the platform. It's unlikely that Redmond will introduce a radical new design so soon after Windows 8's touch-focused 'Metro' approach not only tore up the rule book, but set fire to it and chucked it out of the window. As we go into 2014, we'll see more and more Windows 9 rumours and leaks appearing. 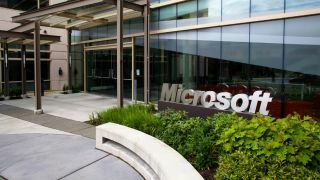 So stay tuned to TechRadar to see what Microsoft is planning for the next version of Windows. The next major update to Windows Phone is expected to be version 8.1, in keeping with Windows 8.1 on the desktop. Various leaks have suggested that Windows Phone 8.1 will be visually similar to Windows Phone 8, but will include support for higher resolution screens, all the way up to 1080p. This increase paves the way for Windows Phone to replace the much-maligned Windows RT. A new voice assistant, called Cortana, could also be added to Windows Phone. Rumours suggest that this could borrow technology from Xbox One's voice control and integrate it across all devices running Windows 8. Microsoft will hope that Cortana (a codename based on the artificial intelligence from the Halo games) can ultimately rival Google Now and Apple's Siri, with features that will include the ability to send texts, schedule alerts, add reminders, and more. Other rumoured features expected to appear in Windows Phone 8.1 include a (much needed) notification centre, updated Live Tiles (that could display more information akin to Android widgets), and possible deeper accessory integration. Multi-tasking will also be improved, with both visual and behind-the-scenes tweaks that will aid performance and boost battery life. Microsoft launched the Xbox One on November 22nd 2013, but next-generation games and accessories will continue to become available all the way through 2014 and beyond. Like most new consoles, the Xbox One launched with just a handful of games and arguably the biggest and best games for the system – Destiny, Watch Dogs and Halo 5 – are all pegged for a 2014 release. The Xbox One will also benefit from the availability of more apps in 2014 and expect Microsoft to iron out some of the kinks in the interface and to improve the Kinect integration. Having just released the Surface 2 and Surface Pro 2, it's more than likely that we'll see Surface 3 models appear in the latter half of 2014. Hardware-wise, these should include the latest Intel processors, which will bring even greater battery life, coupled with improved performance, possibly in an even thinner design. The Surface Pro 2 received no physical improvement over the original, so it would be nice to see it given a redesign.